"LS Nav is a high quality solution from a top Microsoft ISV partner"
Seamless integration with Microsoft Dynamics NAV, highly configurable point of sale user interface, the promotions (discount offers, mix/match, happy hour, buy x get y free, etc.) works very well and is very intuitive once you have used it for a little bit, LS Retail is constantly investing in their solution. Like any solution, there are occasionally an error here or there, but I have not found anything serious. Overall, there isn't really anything that I dislike. If you need a solution that will give you everything you need (including accounting and inventory management), then you should consider LS Nav. LS Nav is a top quality solution from a highly recognized brand. LS Nav helps to make checkout very fast, integrates with payment solutions, helps manage inventory better, can deliver better insights. It also has a wonderful structure so that you can use your POS even when no network connection is available. Our organization has coordinated this product with numerous clients in various nations and every one of them are more than cheerful from the item and the advantages that it conveys to their business - adaptable and shifted sorts of advancements , devotion framework, simple to utilize POS framework, online networking incorporations ,and so forth. I propose. We utilized LS Nav in rearranging our retail systems. Its solid engineering which is structured over the ERP makes it very powerful for our account and activities group to accomplish appropriate and convenient control halfway. It has effectively accelerate our retail capability. "LS Nav is a high quality solution from a top retail partner"
I will recommend this product to all retail business users. For consultant - Take more training to learn how to use the system. Repeat the training after 3 and 6 month - then the implementer suggests more efficient ways how to use the system and our users had experience and questions how they want to use the system. "LS NAV a high Quality solution"
Seamless integration with Microsoft Dynamic NAV, highly configurable point of sale user interface, the promotion (discount offer,mix/match, happy hour, buy x get y free, Multi buy offer etc works very well and is very intuitive once you have used it for a little bit, LS Retail is constantly investing in their solution. No security related to table, Transaction margin, If you customize too much Microsoft Dynamic NAV you can have problem down the line. For consultant - Take more training to learn how to use the system.Repeat the training after 3 and 6 month, then implementer suggests more efficient ways how to use the system and our users has experience and questions how they want to use the system. I used LS NAV in the Retail and part of implementation process. it is easy to learn and has a very intuitive user interface that most people get familiar with very quickly. It is customizable and in the lower end of the price range for the features you get. However customization can get expensive if you need feature that are out of the box with technical challenges. Robust ecosystem of LS NAV which delivers the Retailer's need like Offers / Promotions, Inventory Live lookup, data integrity, data flow between front end and back-office. Ease of configuration and ease of using POS are the other features which come in mind while thinking of LS NAV system. Lack of detailed merchandise planning tool and dynamic Open-to-Buy module. With Off-line and On-line(on-demand) POS architecture, solved problems related to Fashion, Furniture and General retail businesses. With LS NAV, realized data accuracy, efficient flow of data from terminals to back-office and vice versa. Realized greater Customer satisfaction in terms of providing them most accurate information about products. Apart from that, most important feature at POS is look and feel of the system which is dynamic in nature. At back-office, timely business reporting and analysis is most desired feature which LS NAV is delivering with the help of scheduled activities. "One of the best software's i've ever dealt with "
Microsoft Dynamics NAV is very intuitive ERP software. It fits to your needs so you can use it and adapt it to the growth of your company. Really easy to use. If you know how to use Microsoft Word or Outlook, you will know how to work with it. If you customize too much Microsoft Dynamics NAV you can have problems down the line. Another disadvantage are the frequent updates. Since you're not able to install them for yourself, you need to hire a consulting company to do it for you. All the reports it provides is a plus. We save a lot of time, for Microsoft Dynamics NAV is intuitive and, most important, a totally reliable ERP that allow us to conquer more available time to other tasks. "Complete ecosystem and very flexible"
I like the best flexibility and by that I mean that it is possible to do almost anything whatever you need, either by configuration or some development. Since this is based on Microsoft NAV it has all NAV benefits and full NAV "backend". It's not a big deal, but eventhough I am a technical guy, at the beginning it was not easy to understand how this is integrated with the standard NAV. I still don't like the debugging POS and all those hard-coded things and the fact that I don't see the full source code. Standard retail processes but also warehouse processes are supported by some back office LSR functionalities. "LS Nav for Retail Helped Me With My Showroom Internship"
Working in the showroom I was able to use LS Nav for helping find specific sizes and styles of clothing for our vendors.It helped out A LOT when it came to finding what vendors would purchase in the past, and for us to easily gather the products up without trying to dig through paperwork! There always will be an error here and there with technology, but I haven't really found anything that made me dislike the software. As I mentioned before, the #1 benefit is that it was so easy to use to track what our customers/vendors were purchasing and to easily gather it for them. "We are very satisfied with LS retail and software solutions. We are happy to work with such solution"
We are most satisfied with the program solution because it covers all important areas and we can offer solutions to different companies. Companies in our region are demanding and have different activities in different locations. Mostly we do not have bad experiences, we cooperate with the Principal and solve all the problems. Sometimes is problem with the price that is occasionally too high due to local competition. A demanding Fashion Company with stores in 4 countries in different regulations and languages. Company with different types of stores (With big Markets, technical stores, fashion and perfumeries) and different types of restaurants in different countries. "Easy to use out-of-box solution, looks and feel of GUI is the best"
Calculate price/performace, since any costumizations are expensive and support can be very painfull. I am working on consulting, development and support of LS Retail. The best benefit is that the system is integration of retail, finance, warehouse and user access. "LS NAV Retail - The solution for Retail Business "
What I like best is that LS is based on Dynamics NAV and that gives us the oportunity to have a seemless solution for our retail customers. I really dont find anything to dislike in LS NAV. Ask for a demo to understand its features. Our customers can satisfy all their needs simultaneously for the back office and also for the front office (retail). Using the features of LS NAV our customers can cover from Financials to even production and from replenishment to retail pos and omnichannel. "Review from a Project Lead perspective"
Support mechanism for partners is worse, what a support engineer is saying that is already been done as a partner, Instead of focusing on solution they concentrate more on passing the responsibility. Awesome Product has all the features for any retail requirement, you just need to find right partner to do that for you. Being a partner we do solution's for various retail customers. "LS NAV- a wish of any Retail chain!" LS NAV is one of the best retail application of its own kind for all Small, medium and large retail chains. USP are user friendly PoS and user configurable screens aprt from all the must available functionalities. Replanishment and Loss Prevention needs to be more improvised. On time ready MIS and broader view of all the retail outlets on the finger tip. POS interface, Hospitality components and retail components are better to configure and work. Little disappointment with GST patch release (Indian Localization), due to delay. TDS having bug in 2013 R2 Indian localization it affects in bank reconciliation. Inventory stock take module need to be improved. We are giving business solution for Hospitality and Retail industries using LS Nav. "A very user friendly software for retail"
The best features of this software are: management of staff, management of cash and the possibility to extend or integrate new features easily. I don't like the very high number of bug. I encountered a lot of bug or some functionalities don't work as expected. We simplified the sell procedure. The software is very intuitive for the end user. The futuristic vision of LS Retail team, Mainly on how they think about cloud and Mobility. Not much of technical information/material/documentation is available to the customers through customers portal. "LS Nav is a very good product for retail and hospitality business." Integrating different types of payment methods, development for omni sales. The fact that you can do all things in one solution. It is compact but still robust enough. Some features are not complete. Like for example Retail Special Orders. If you are looking Retail ERP and POS System, this is to solution. For the latest, helping customer to run and manage central warehouse as core of them business functions in retail chain. can be recommended to SMB. "LS NAV is a robust Retail management system and not just a POS"
I have seen the product benefiting users both on the retail side as well as on the finance side with its strong functional capabilities and a robust architecture. The starter pack price of the product could be more competitive, for e.g. Dynamics NAV price. LS Nav works on both online and disconnected architecture which is a great boon to the store users, particularly at outlets handling fast moving products. Its strong architecture which is designed on top of the ERP makes it highly effective for the finance and operations team to achieve proper and timely control centrally. Easy and managerial retail businesses. "Best retail solution for NAV installs"
Don't be afraid of upgrade - especially from classic to RTC - a qualified consultant can setup your pos quickly and efficiently. Simple but very powerful, easy to learn it. It is quite hard to find a real dislike. "Solteq, Head of Dynamics NAV & LSR projects, consulting, development and QA"
Hard to debug, too integrated, complicated architecture, really old school development tools with no automated testing options. LS-RETAIL capabilities to easily manage al business aspects of any retail store. The adaptability of the product is great. The little articles and support references in the internet about the product. Retail sales and reports in various companies. "Good Product for Hospitality and Retail "
Product come in little comapact size and limited source. "LS NAV is the best retail add on ever built on top of Dynamics NAV"
Some bugs, complexity of some modules. "Versatile POS and ERP combination"
It can be customized for the end users in many different ways. Two different back office views (Nav and LS Retail) creates confusion. Consider the pros and cons of a single-database online setup vs. multi-database setup. Sales campaigns, Real time inventory levels. "Enjoy business with a powerful retail system "
The powerful functionality and flexibility. Possibility of whatever design you love. Lankness of good documentation. Sometimes it is very hard to find what you need to do. All retail needs. Speed up process, better control, better promotion options, powerful loyalty schema, reporting. "Describing the best POS software have ever seen"
control of store operations from Head Office. "A good POS solutions - new version seems awesome but migrating will be expensive"
Dependable and easy to use, Inventory managemet is uptoday. Benefits of LS retail are more than few small itch that dont take to mention. Don´t hesitate, Ls retail works. In retail we need accurate and daily infromation abaut sales and inventories. LS retail gives us both. Multiple functionality have bugs which needs to be resolved . A better and early reponse from.helpdesk is required. High profitability with streamlined process. 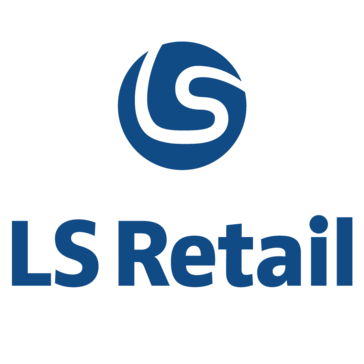 "LS Retail Consult and I have been in 7-8 different LS Retail customer cases in Finland." Easy to make POS interfaces, time sparing. Replication inside LS. "LS Nav complete ERP Solution "
It is the best product for industry which want to increase their revenue and customer value. Multiple offers can not be combined under one and locking issues while posting multiple documents at same time. it is best solution for Retail industry to keep track of inventory and customer values. Customer value , management of inventory flow from stores to back office. Fast switching and customization according to different industry like FMCG, Retails etc. Its perfect suit for your business so i just recommend that GO FOR LS. Setup is lengthy, so need to reduce the setup process for convenient.all other good and perfect. yes i had so many issues but rectified and solved as well. Wasting time with things that has not sense. POS features in general, absolutely brilliant easily configurable. "End to end solution for Hospitality"
Strong Functionality for Hospitality Industry. Not yet. big data for supermarket. sometime clock table. * We monitor all LS Nav reviews to prevent fraudulent reviews and keep review quality high. We do not post reviews by company employees or direct competitors. Validated reviews require the user to submit a screenshot of the product containing their user ID, in order to verify a user is an actual user of the product. Hi there! Are you looking to implement a solution like LS Nav?